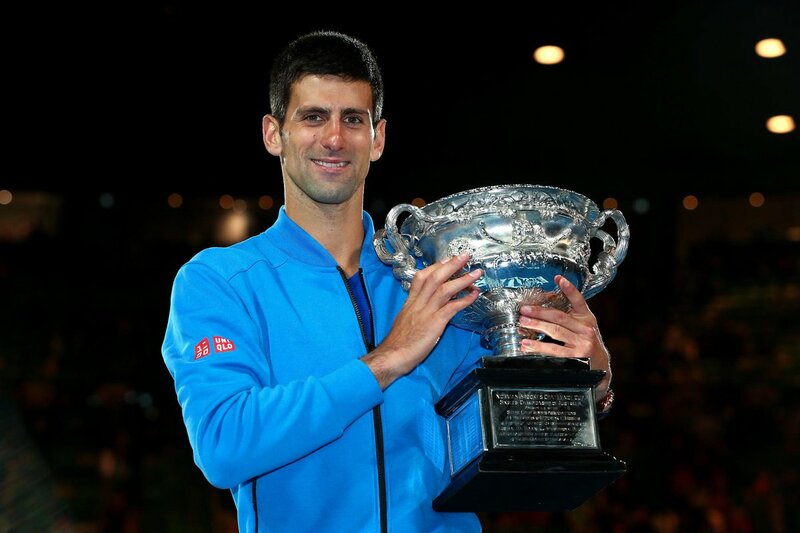 Serbian sensation Novak Djokovic blitzed past a frustrated Andy Murray 7-6, 6-7, 6-3 6-0 to claim the Australian Open title. Djokovic, 27, made an incredible start to the match, roaring into a 4-1 lead past a bewildered Murray but a double fault from The Scot enabled his Serbian rival to take advantage and draw first blood with a 7-6 win in the first set. In the second, Murray made a great comeback and racked up an impressive 2-0 lead but Djokovic's excellent straight 13 points ensured he would not back down from a determined Scot. With both men giving everything they had, Murray was the one who claimed the second set with a 7-6 win and build confidence heading into the third. Djokovic's poor start to set three with a wasted serve that crashed against the net on the second occasion handed an advantage to Murray who really fancied the match and began to build even more confidence as proceedings continued. However, resurgence of Djokovic provoked great frustration from Murray who couldn't accelerate and screamed "how many times!". Djokovic stormed to a fourth set win as Murray's mind quite possibly turned out to be his own enemy as a dominant Serbian continued to pile on the pressure and took set four 6-3. As many described Murray's second half of the match performance a "meltdown" Djokovic proved exactly why those were correct. Frustrations grew as The Scot began to unravel under his Serbian rival's eyes. With that, Djokovic demolished Murray in the final set with a crushing 6-0 win to claim the Australian Open title quite convincingly.